Our new contributor, Clairanne Pesce, a sustainability and wellness pro at FOX Architects, shares takeaways from a recent summit she attended at Harvard University, “Building for Health: Research and Applications to Drive Decisions for the Built Environment“. A community café at CBRE’s Washington, DC office. Photo by Interior Photography, Inc. This ability to foresee and adjust defines how we approach our everyday. Arguably, how we adapt is very much constructed by our surroundings, and more specifically, the built environment. Because, the reality is, we spend 90 percent of our lives indoors. Of course this varies based on profession and lifestyle, however, for those reporting to a desk, outlook, efficiency, and wellbeing can be changed by how workplaces are designed. Buildings are proving to be worth more when they address and improve the lives of the people they serve. So first, let’s address “health”. What is it? In the British Medical Journal, Machteld Huber defines health as “the ability to adapt and to self-manage in the face of social, physical, and emotional challenges”. Again, we see the word “adapt” used when referring to health. As the world becomes more complex and uncertain, the built environment is something we can affect, influence, and change to help occupants “adapt” more completely and efficiently. I offer the following for thought on how we get to healthier buildings. We start by diagnosing the problem. Many of us are familiar with problem seeking, it’s part of the design process. Right now our problem isn’t giving life to the “I just feel better” statement. I think we have enough support from stakeholders — what we need to do is quantify it for the non-believers. We’ve seen that by adding numbers to something seemingly pretty far-fetched — sustainability — we were able to improve and drive change in the way we looked at a buildings place on earth. Processes such as sub-metering, commissioning, and platforms such as the LEED Dynamic Plaque invite occupants to become engaged with the process of improving a building. Measuring health outcomes is a somewhat creative task, but it’s not impossible. Harvard’s T.H. Chan School of Public Health recently partnered with SUNY Upstate Medical to conduct a study that provided precedent for more metrics. It also proved that interdisciplinary partnerships between those that understand health and buildings is fruitful. The Impact of Green Buildings on Cognitive Function Study, or COGfx Study, displayed noticeable improvement for decision making — actually doubling test scores — in a building with enhanced indoor air quality. 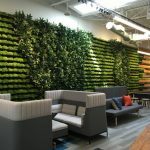 I don’t expect us all to be able to set up shop in a client’s office and create our own controlled study, but we can utilize studies like COGfx to inform design decisions. We can also work with clients to pull from data and measure outcomes that many business’ already have, such as sick days, employee engagement, and other business tracking strategies. Next, we take a step back and evaluate health in our own organizations. As designers we are about to be bombarded with questions from our clients about health. More specifically they want to know “why should they care?” For one thing, it’s better business to have more engaged, alert, and happy staff. For another, we will only really convince our clients to care if we do. This means making health a part of our culture and ultimately a part of business. Let’s prioritize health — let’s not just make it a habit, but a part of our overall environment. It’s important to remember while embedding health in an organization that it is still very much a private matter and a choice. However private though, health is very much a construct of our surroundings; including our work environments. Work environments are about culture as much as they are about space. Private offices, benching, and huddle rooms all speak to a type of culture and so do the materials with which we fill those spaces. Aligning to the culture and mission is the driving force in making sure something sticks for an organization. The last thing I want to leave you with is a phrase I very much believe: hazards are a design flaw. For the purposes of this discussion, I’m really only focused on material ingredients as hazards, but you could apply this more broadly. For example, The Red List has been a strong focus of the Living Building Challenge and it has given the design industry something fixed to react to. It even played a role in the most recent reform to our chemical safety laws — the first in 40 years. Today, in the U.S., we don’t know what we don’t know until visible and sometimes irreversible signs are there. And this is not about looking back on all the things we didn’t do, but about looking forward to solving problems as an industry, and what we will do to change the built environment. It won’t just be architectural firms and singular manufacturers tackling this issue, we all need to be at the table. I believe interdisciplinary partnerships with academia and think tanks will propel science and better materials forward. It’s not possible for only one of those disciplines to accomplish transformation without the knowledge of the other. Thanks to transparency and the knowledge economy of today, we have more engaged people than ever before and they want to know how they are affected. There’s enough evidence to support that better lighting, materials, and indoor air quality support the work environment. People are “feeling better”, and they want more.